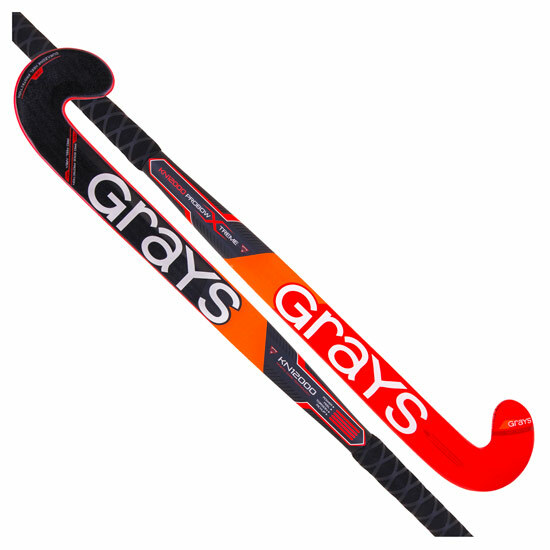 Grays KN 12000 Probow Xtreme hockey stick features Geocentric Core Technology a new high-tec internal construction. 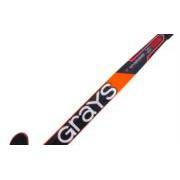 Foam is used as a structural core within the handle, blade and head. This is combined with twin tube carbon fibre matrix to create a highly stable and durable stick which offers ultimate feel, response and energy transfer when hitting. Player Benefits - an increase in feel and impact response in close control, stopping and dribbling. Energy transfer is improved when hitting the ball. The acoustic sensation is improved when the ball makes contact. 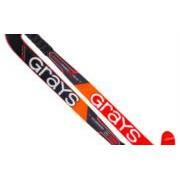 Greater core stability and durability. Performance and structural durability are improved as a result of the foam internal compartments either side of the central carbon fibre wall. Improved handling, feel and response. Pro Feel Area - absorbs ball impact and provides a softer feel. A combination of shock absorbing aramid and vibration dampening foam softens the first touch. The external playing surface is textured and coated in high grip silicone. Pro Edge Protection - advanced formulation of impact resistant materials and resin help increase the longevity of the backhand edge. Abrasion Resistant Durazone has been placed in the heel area to reduce wear and increase durability. Also reduces the effect of abrasive synthetic pitches. 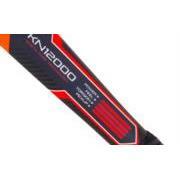 Probow Xtreme profile a combination of a straighter upper blade profile with a low blade curve point which will help generate drag flick momentum. The face has been designed to increase the dragflick zone. 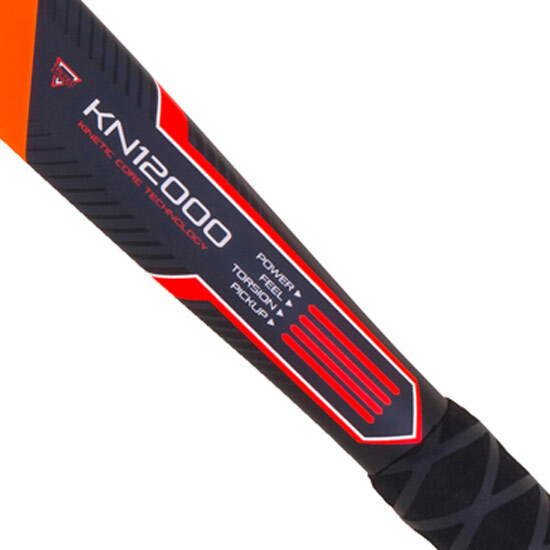 The flat backhand edge has been increased to generate extra strike power. The thinner toe profile aids control and one on one dribbling skills. 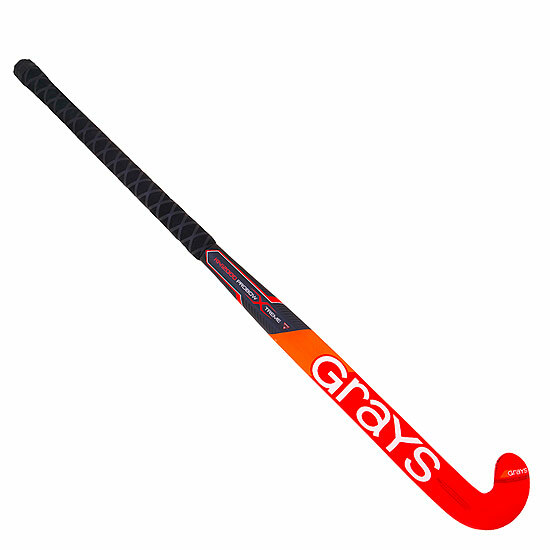 Embossed Power Groove on the reverse of the stick is ideal for dynamic play. 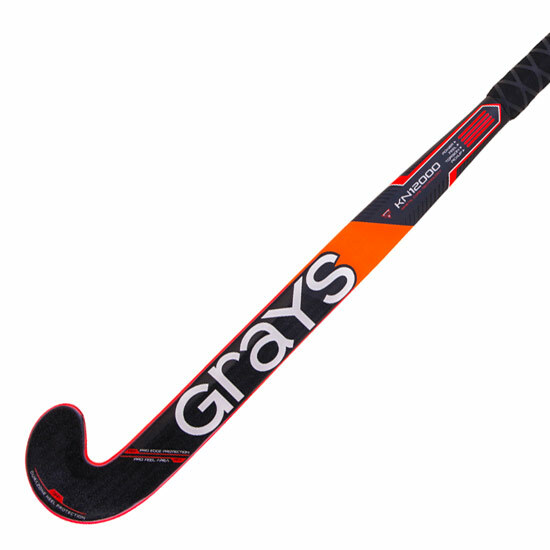 Graphene fibre matrix construction with integrated carbon, aramid and graphene resin increases core stability.